Just a clinomaniac 8 meters tall hungry macro lynxcoon made of goo that&apos;s occasionally a taur. 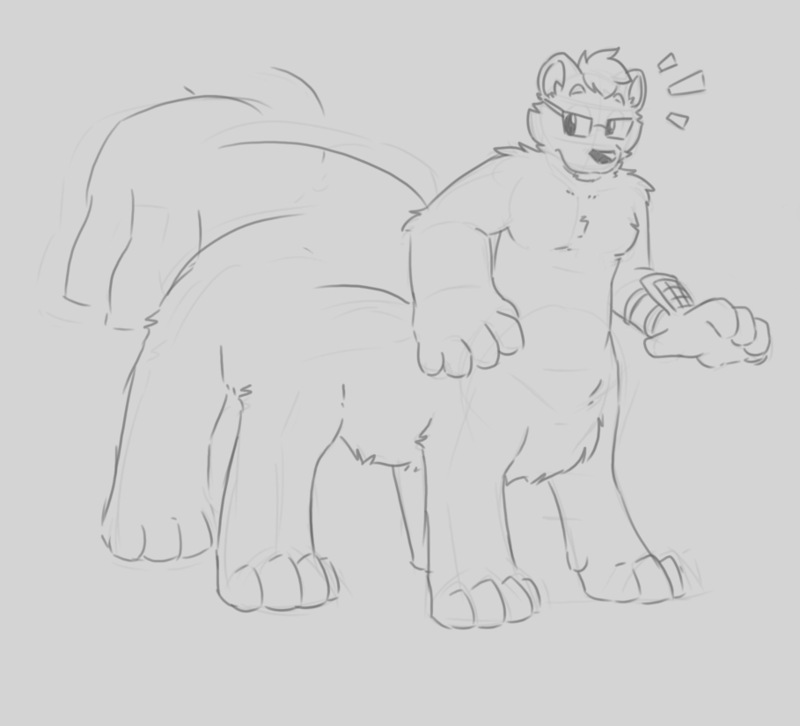 Have a taurtrain, also first time I&apos;ve been drawn as a taur... I let someone else decide how big a taur I&apos;d be, I didn&apos;t expect them choosing endless train!